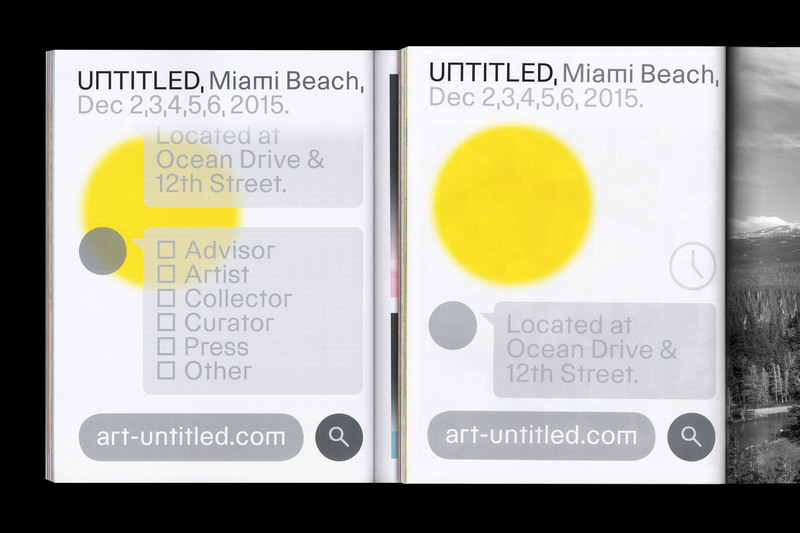 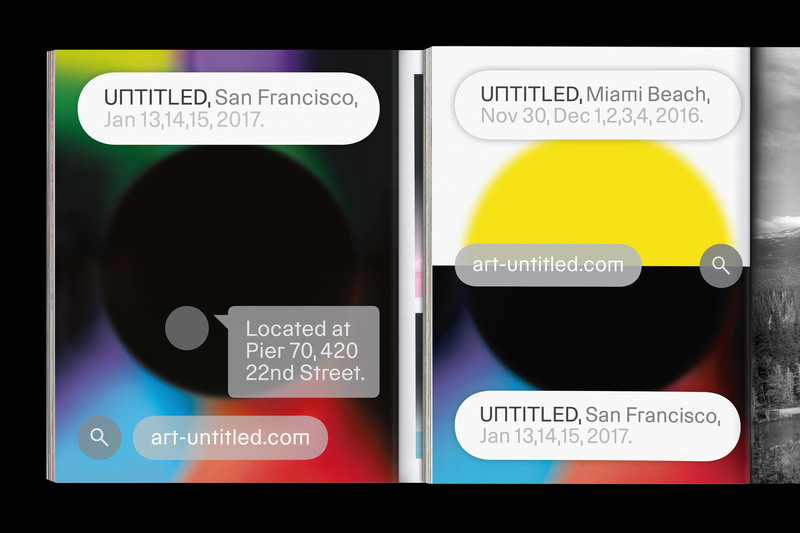 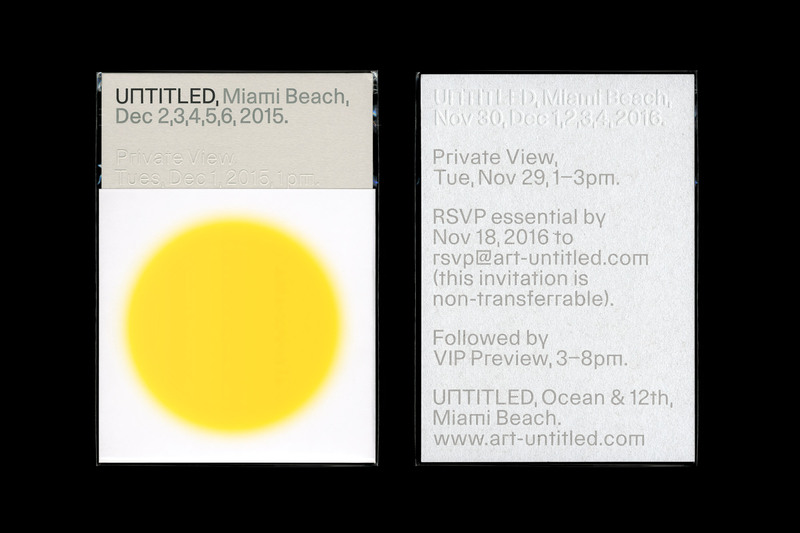 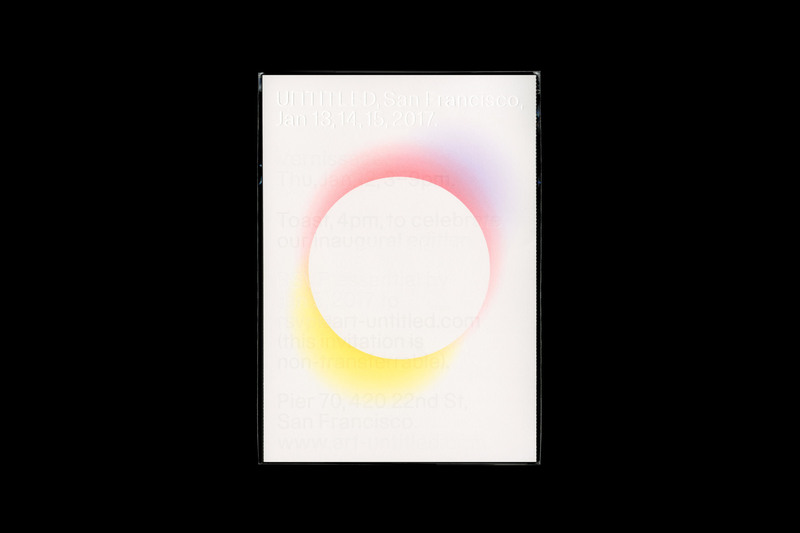 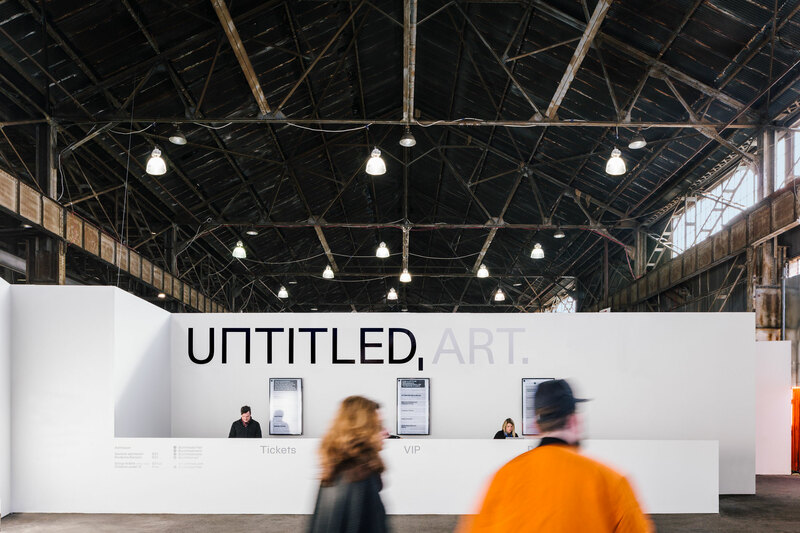 Untitled is an international art fair that focuses on curatorial balance and integrity across all disciplines of contemporary art. 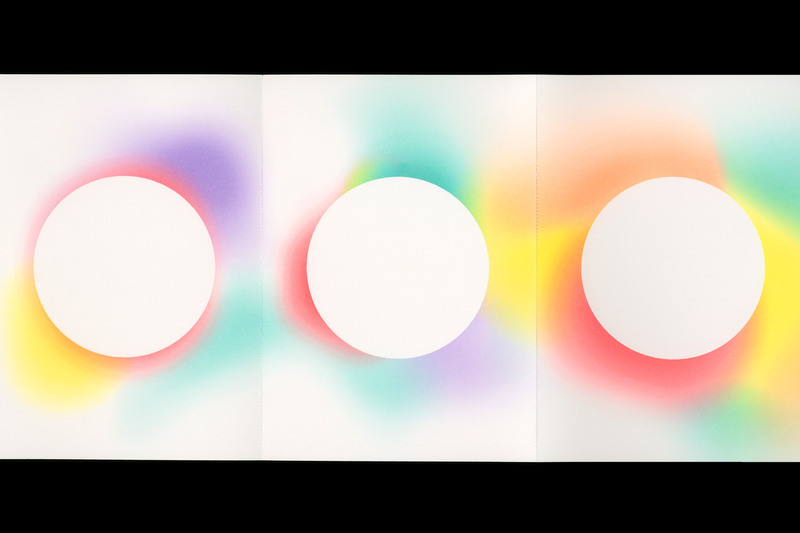 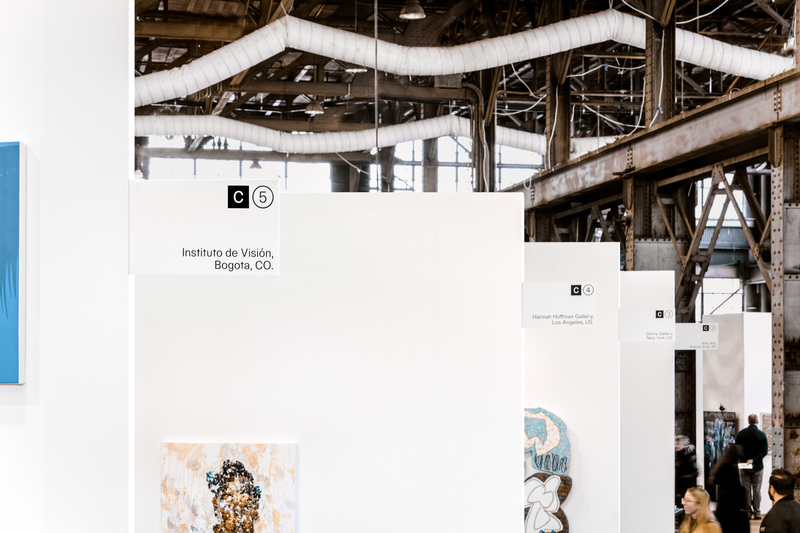 Working alongside curators Christophe Boutin and Melanie Scarciglia, OK-RM were commissioned to develop a unique visual identity, a comprehensive environmental campaign and a robust online presence. 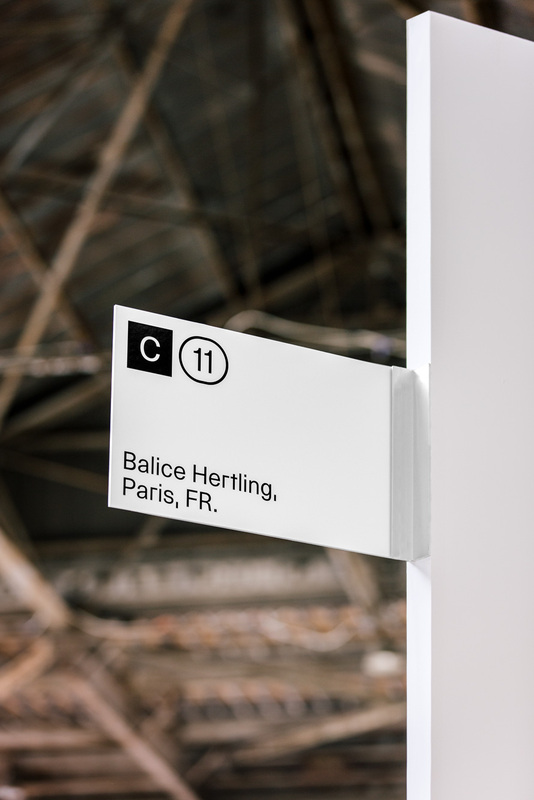 Regardless of vast technological advances, the principles of rational and functional design layed down by Modernism remain highly relevant in a fast-paced era. 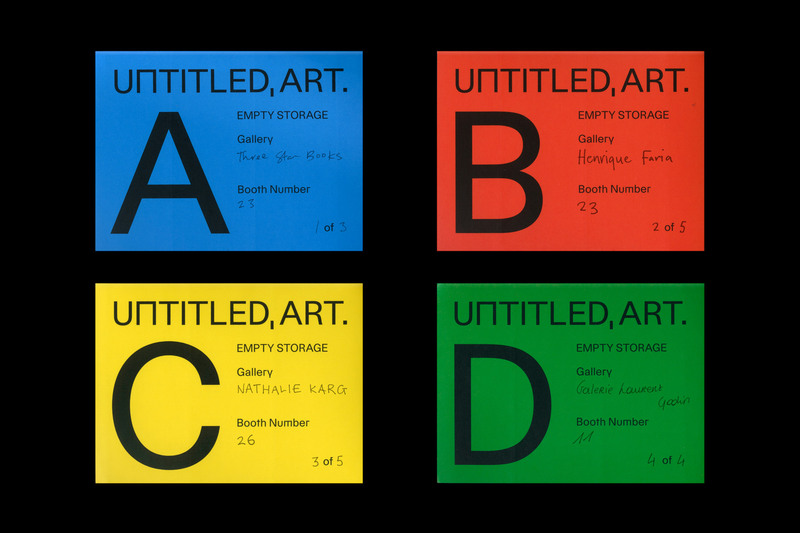 By looking toward this modernist inheritance in combination with the systemic and mathematical approach to typography promoted by the universal alphabet principles, a typeface was developed that is utilised across multiple platforms. 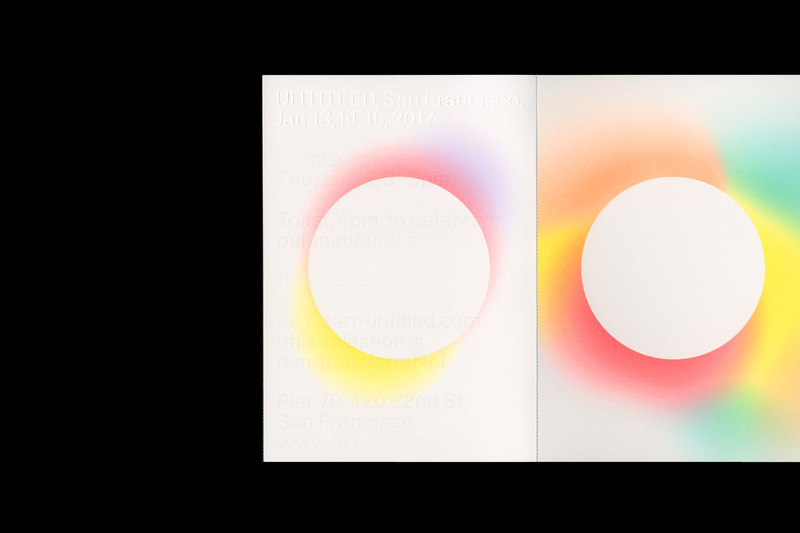 A consistent principle of simplification was applied — loose features were streamlined and a range of new characters added. 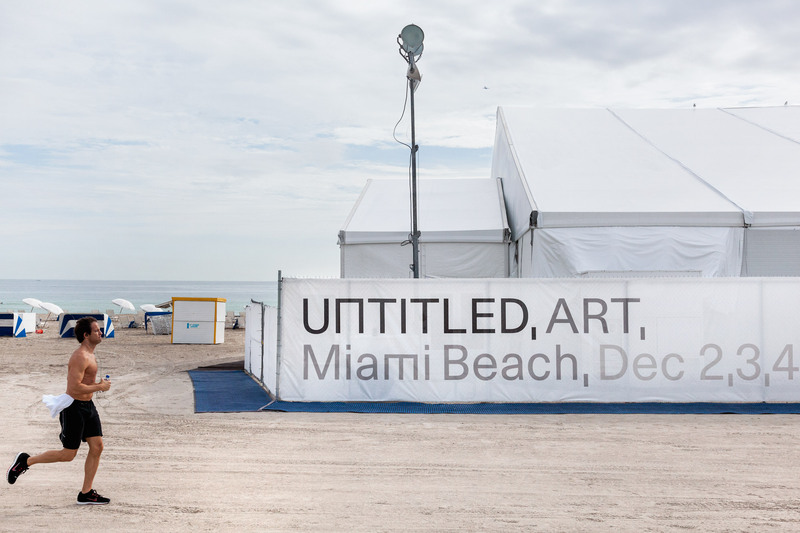 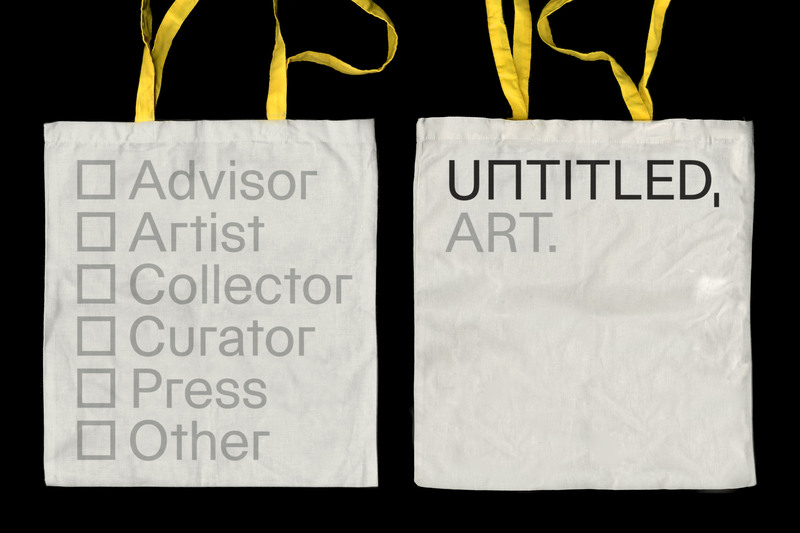 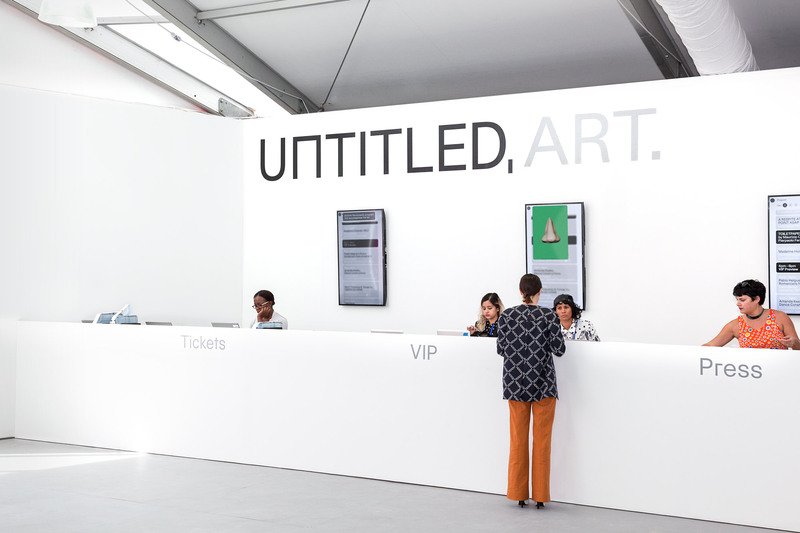 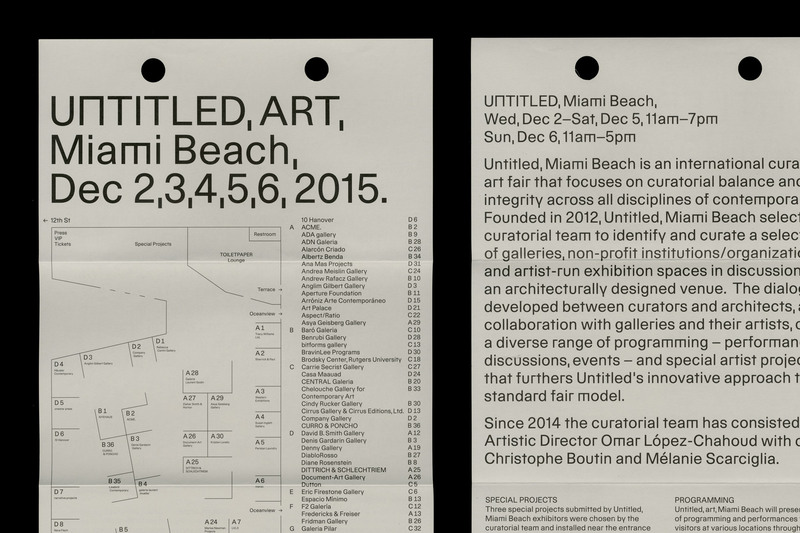 The name of the fair ‘Untitled’ is a direct reference to the ‘caption’ that permeates art. 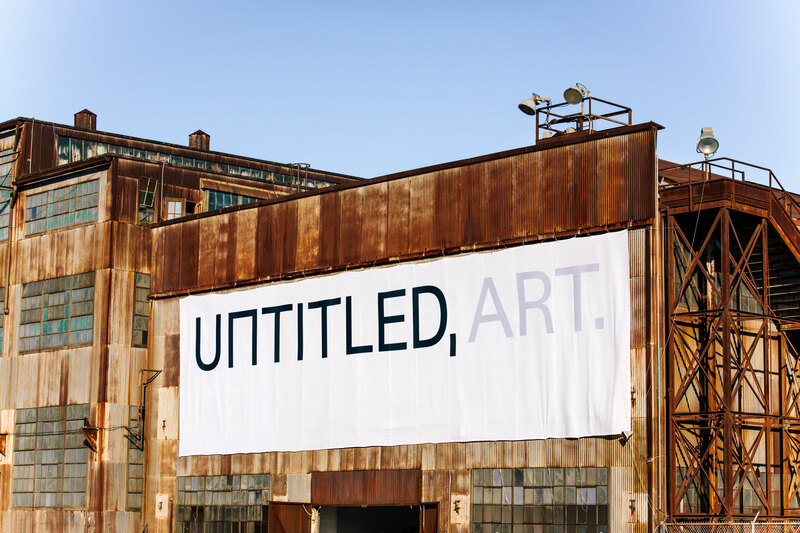 Taking this as a starting point, we developed a sentence structure for headline typography making the comma and full stop distinctive components. 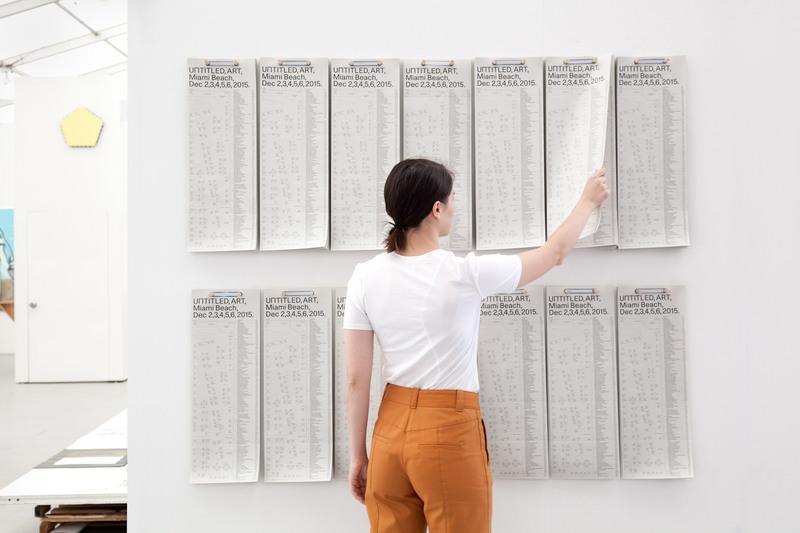 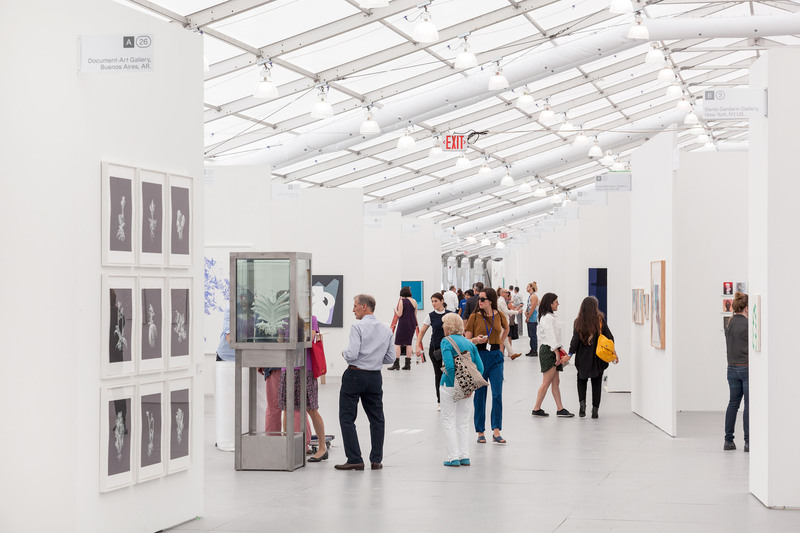 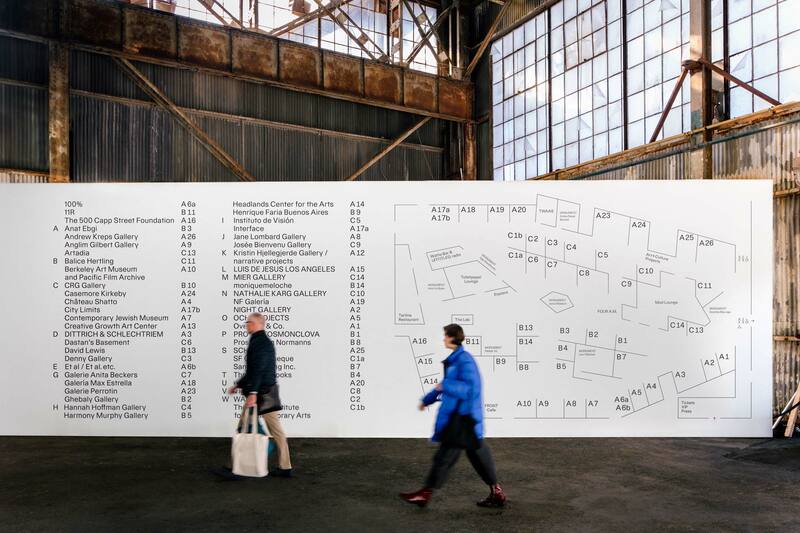 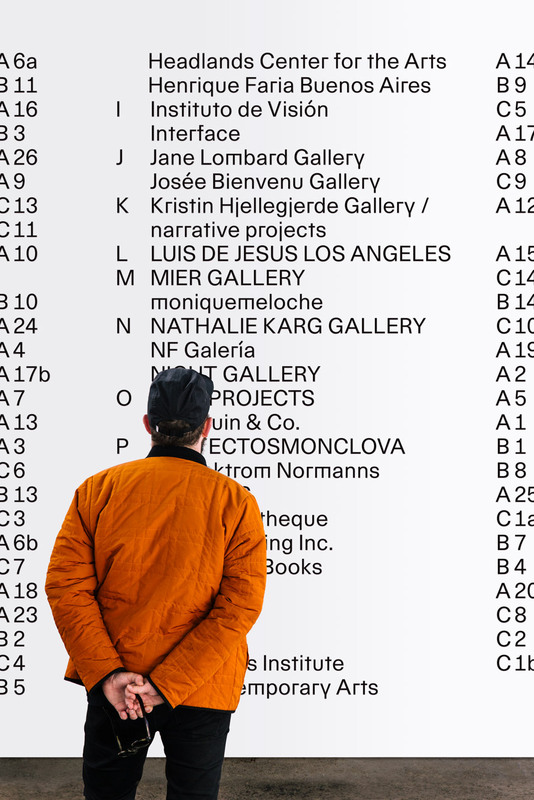 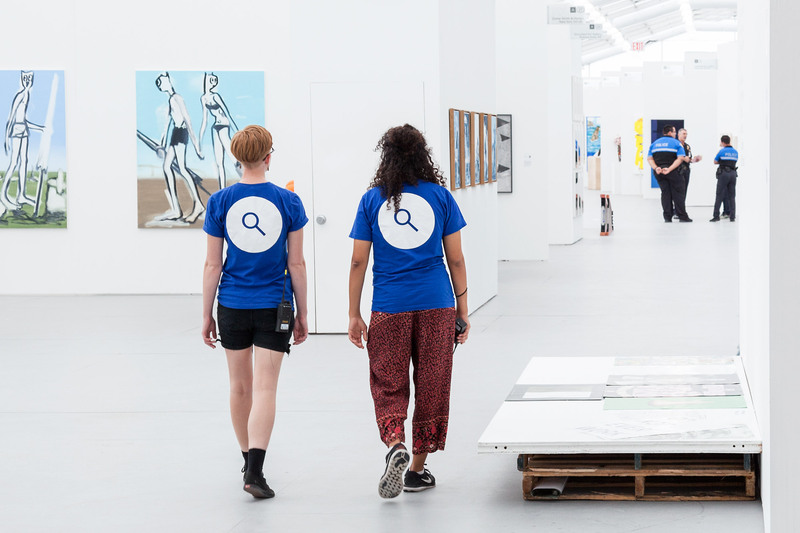 Online, the fair required a contemporary, multi-functioning and utilitarian interface—thousands of visitors and scores of exhibitors rely on the website to navigate through an array of rich interactions. 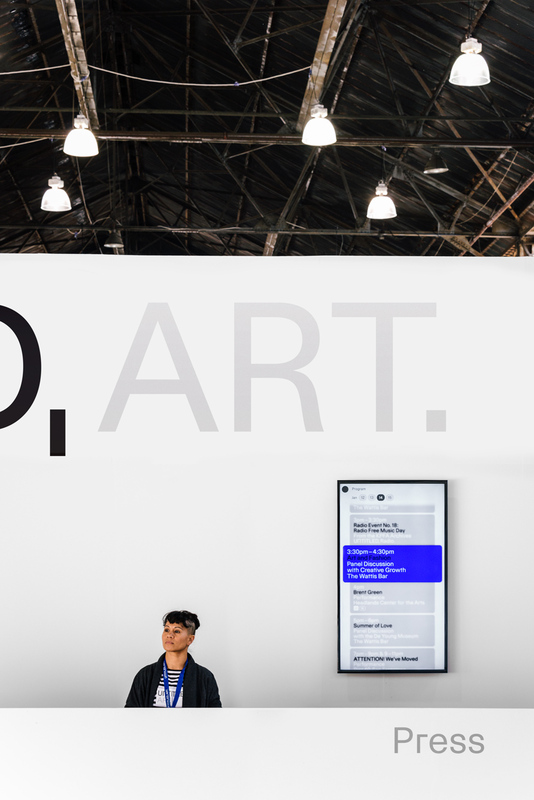 Today, as people collude with more complex and connected systems across multiple devices, it is becoming clear that a user’s experience with a system is defined by an increasingly common set of signs, symbols and nomenclature. 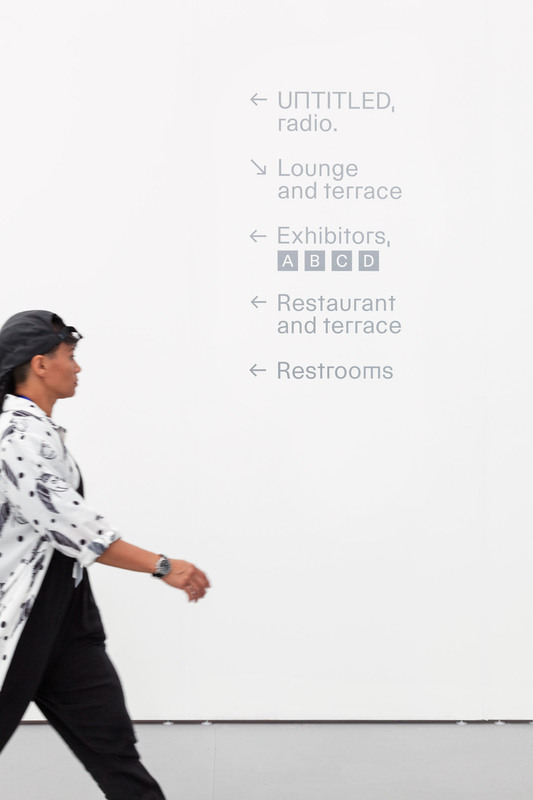 In response the website’s myriad pages, buttons, links and transitions feature an exaggerated interface. 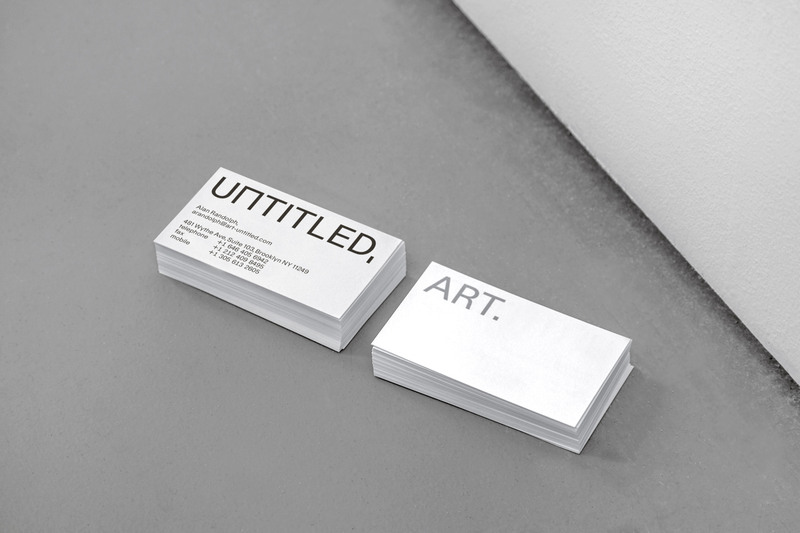 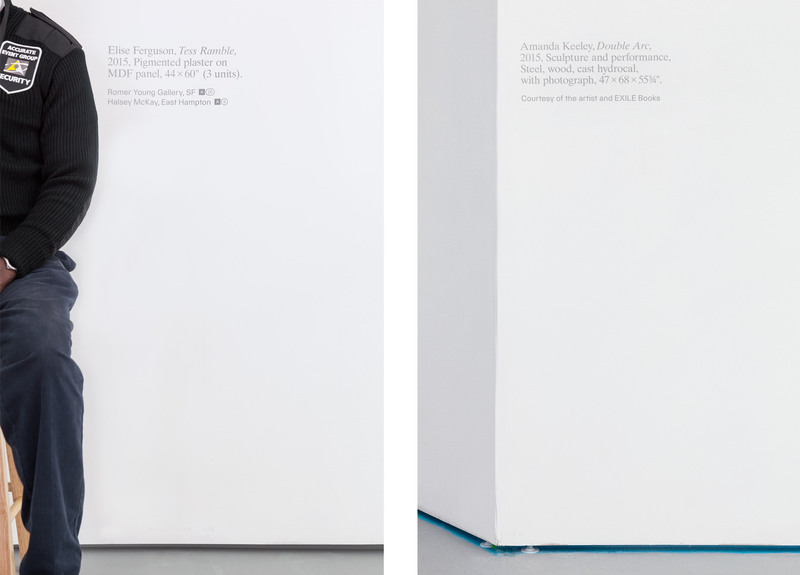 The implicit made explicit, an idea often explored by the more reflexive moments of conceptual art.